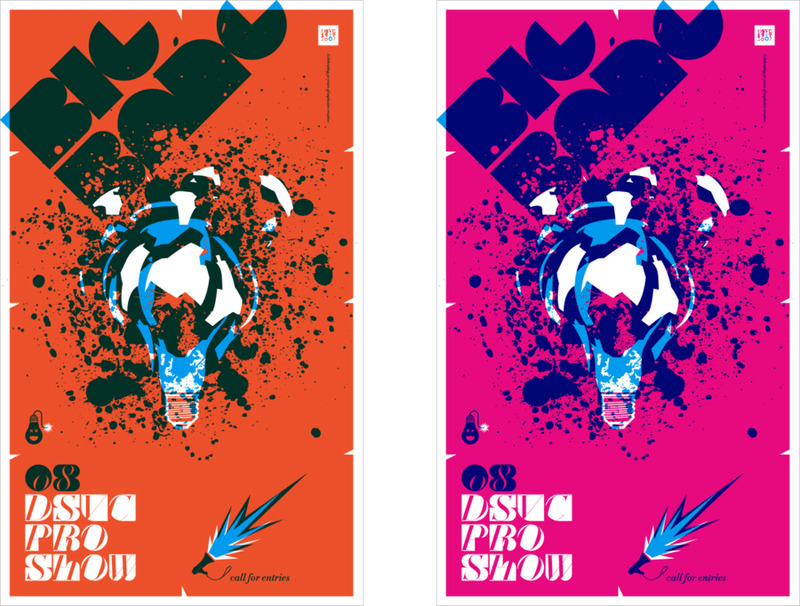 Promotional poster and invitaiton for the 2008 Dallas Society of Visual Communications Professional Show. 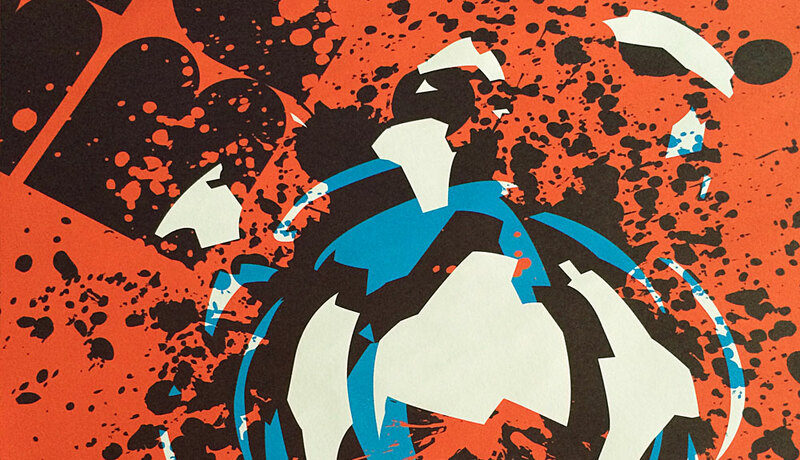 The two-color poster was printed using a single base color (cyan) and three separate runs of overprinted secondary colors (orange, red and magenta). 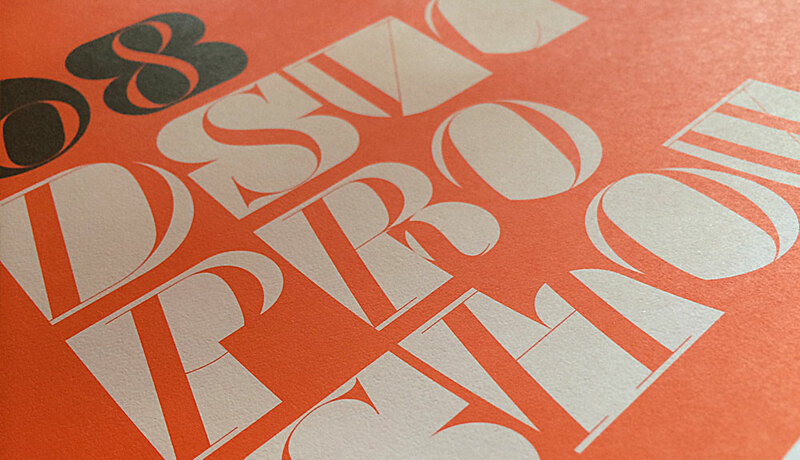 The overprinted ink along with knocked-out shapes showing bare white paper were used to create a sense of depth. 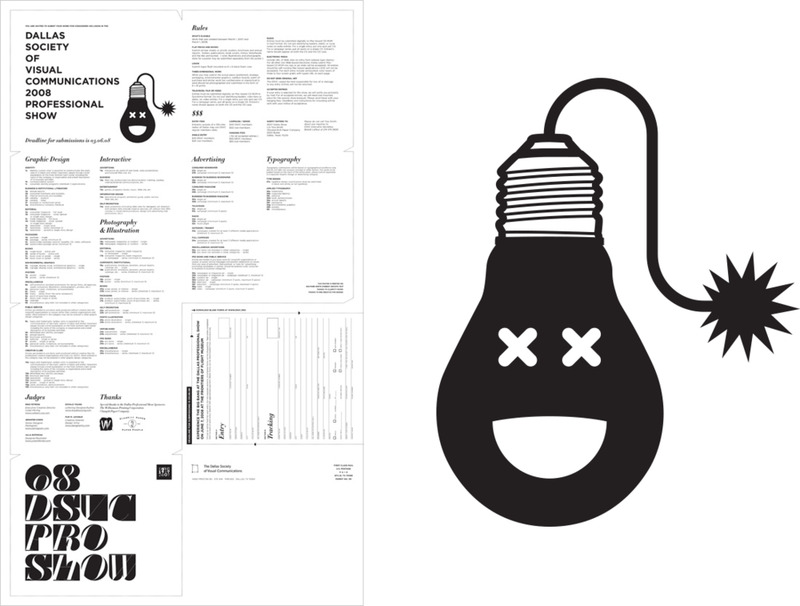 Inspiration for the graphic came from the awards themselves which are in the form of gold, silver and bronze light bulbs. The Dallas Society of Visual Communications (DSVC) was founded in 1957 as the Dallas/Fort Worth Art Directors Club. As the Metroplex grew, however, the club broadened its scope to embrace all professionals involved in marketing communication, including writers, photographers, illustrators, broadcast producers, Internet professionals, and the many vendors and suppliers who support them. In 1975, the Club officially changed its name to The Dallas Society of Visual Communications—a change that coincided with the emergence of Dallas/Fort Worth as a center of accomplishment in advertising, design, filmmaking, and numerous other facets of visual communication. Over the years, the DSVC has grown to become one of the largest independent clubs of its kind. Along the way it has continually sought to elevate the standards of the industry and promote the value that creative professionals add to commerce and the community at-large.